As if there weren't enough reasons to stop smoking, on Monday, we have another: According to new research, young women who have smoked upwards of one cigarette pack a day for the past 10 years are at a much higher risk for the most common type of breast cancer, known as estrogen receptor-positive breast cancer. The study, which was published in the journal Cancer, was led by Dr. Christopher Li of Seattle's Fred Hutchinson Cancer Research Center, and conducted on 1898 women. 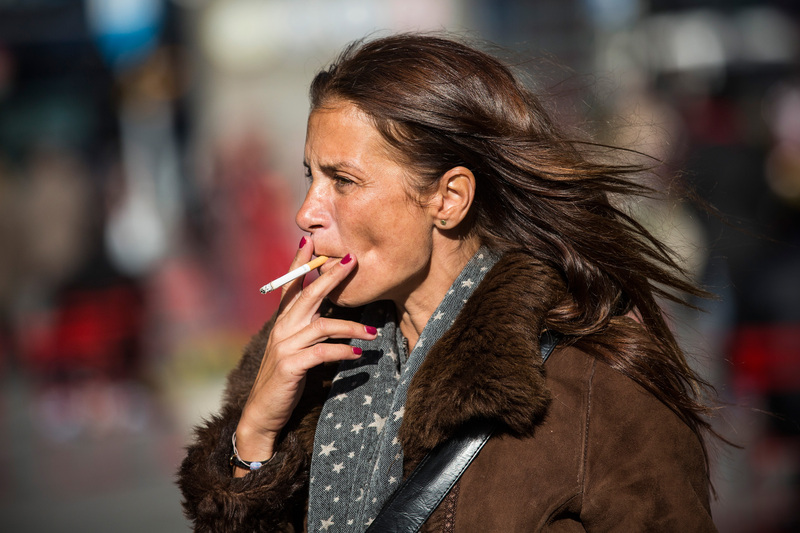 While the study certainly hasn't determined that smoking is a causal factor of the breast cancer, the connection is certainly very strong. Here were the results: Women who smoked at least a pack a day for the past 10 years had a 60 percent higher risk of developing estrogen receptor-positive breast cancer. Smoking looks even less attractive now, doesn't it? A previous study at Harvard Medical School has already established a link between breast cancer and smoking, finding that female smokers' risk of breast cancer was six percent higher than non-smokers', with some subcategories of female smokers having a much higher risk — including women who smoked before their first child was born. While estrogen (and in connection to that, age) certainly plays a role in the most common type of breast cancer, this new study shows that smoking may further enhance the risk. A suggestion: for the next study, perhaps scientists should use equal numbers of women for each of the three subgroup: estrogen receptor-positive cancerous, triple negative cancerous, and non-cancerous. Until further notice, take it easy on the cigs.